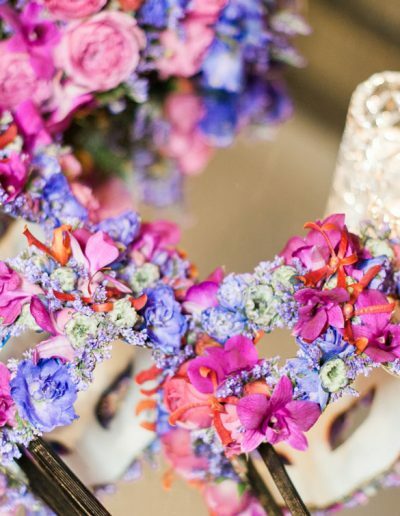 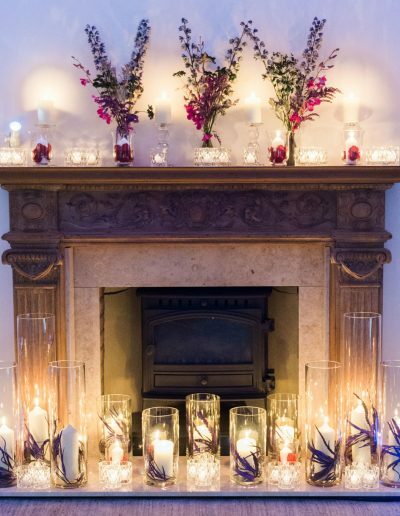 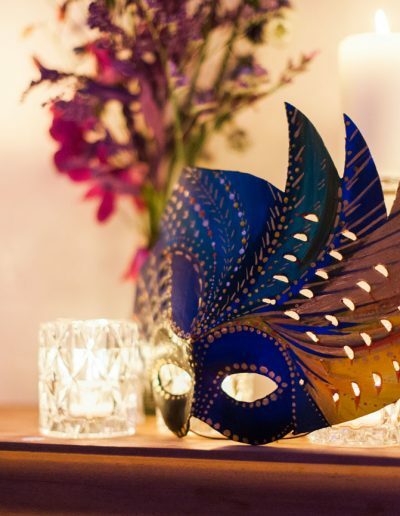 Gothic meets masquerade in this enchanting celebration planned by Jemma-Jade Events. 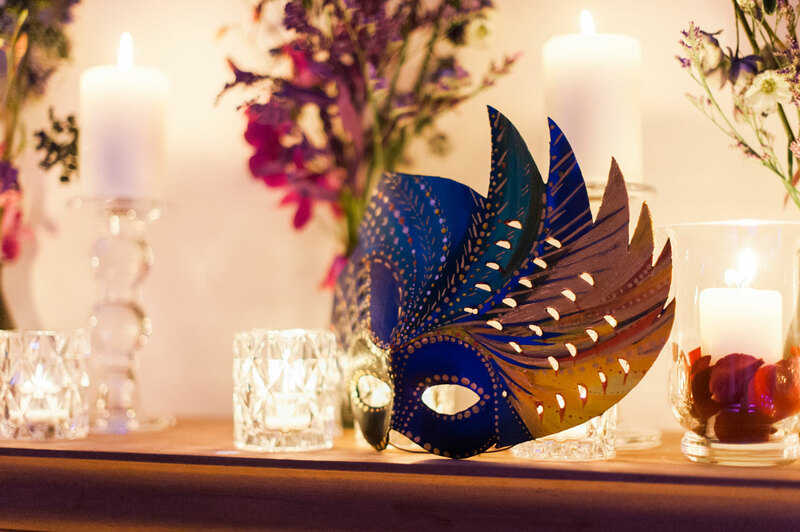 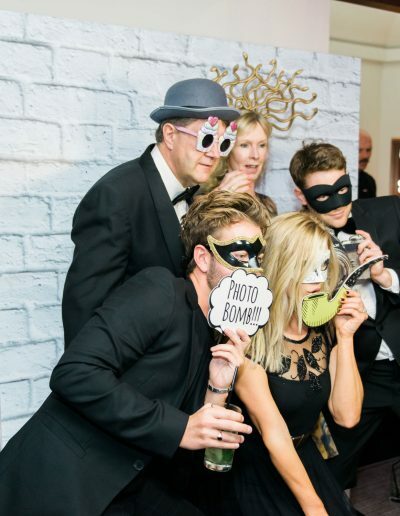 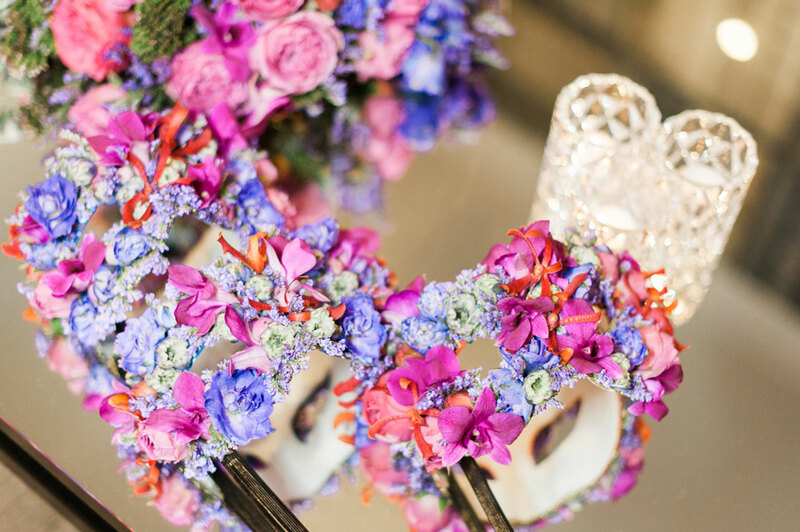 Today we are going to share with you Rebecca’s masquerade inspired 30th birthday party set in the grounds of her home in the glorious countryside. 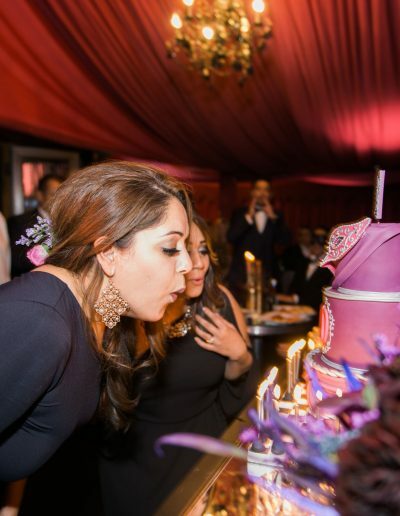 With only a month to plan this birthday extravaganza, we had our work cut out for us. The theme was masquerade for this celebration. 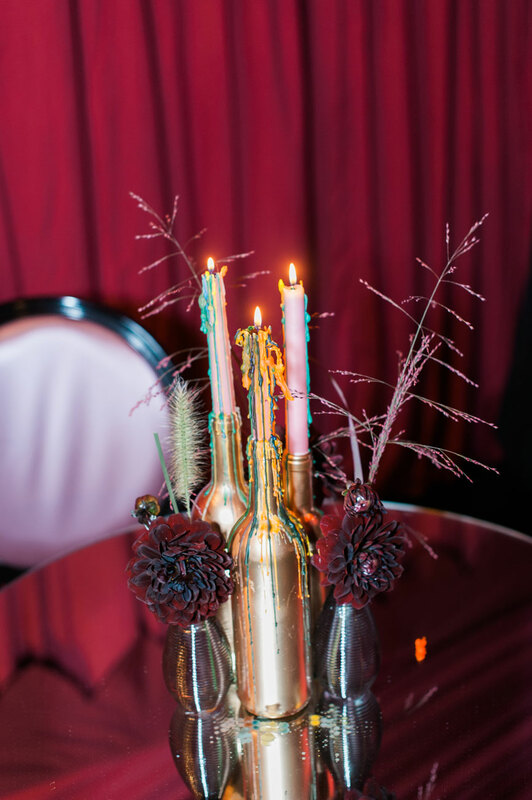 So we decided to use dark purples, reds and gold’s as our colour palette. 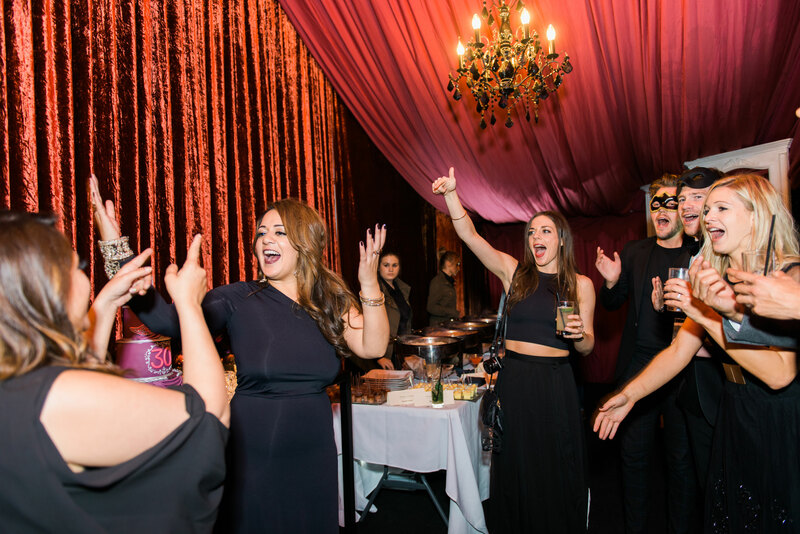 The party was split between two sections. 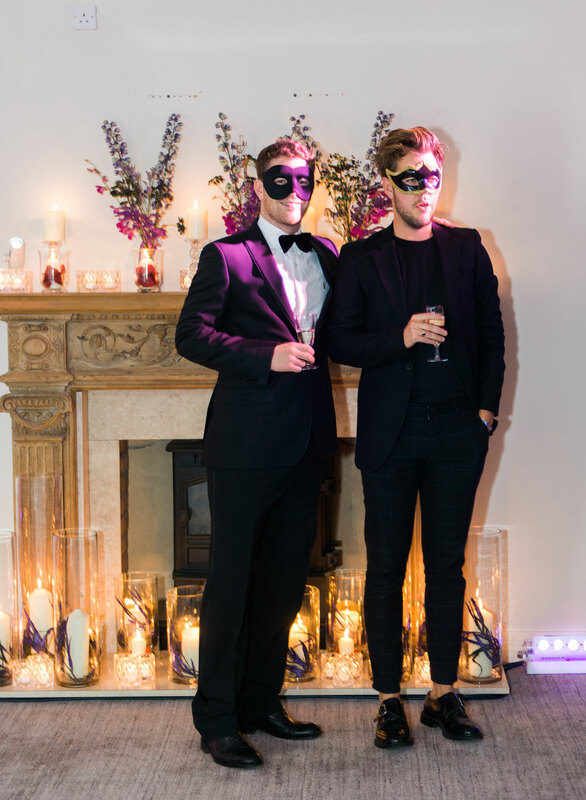 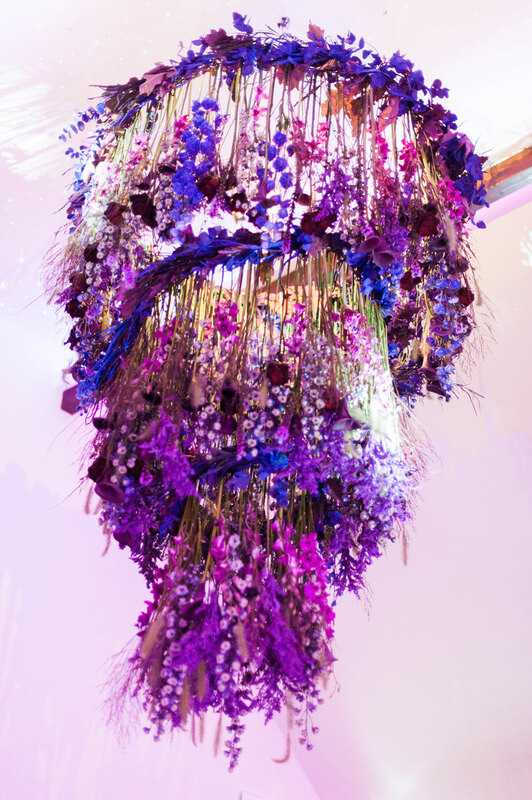 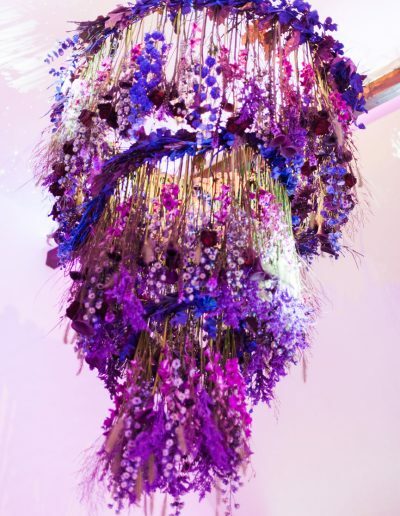 We transformed the living room into the dance floor area, replacing the disco ball idea with a striking three tiered floral chandelier with suspended blooms in black, purple and cerise tones to create a breath-taking piece captivating guests as they danced the night away. 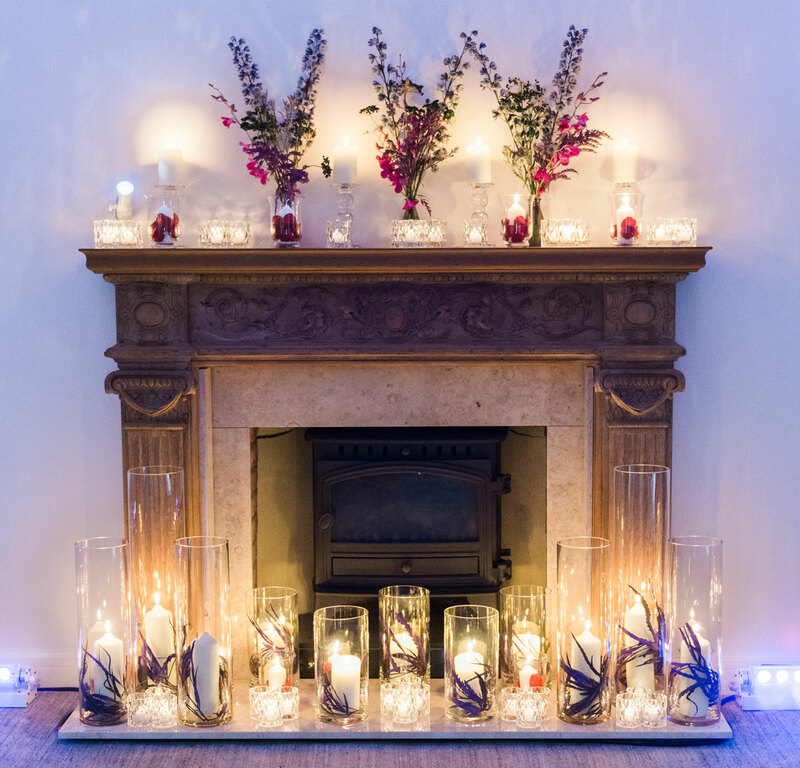 A chill out area was created so guests could rest their party feet. 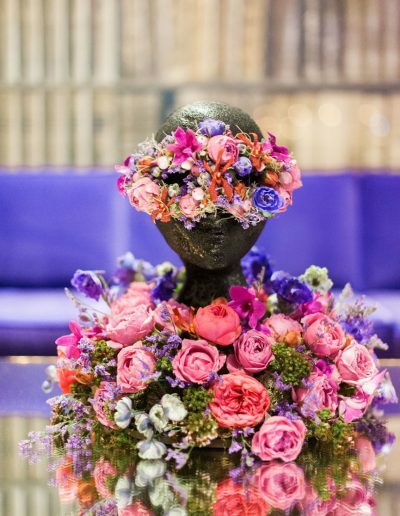 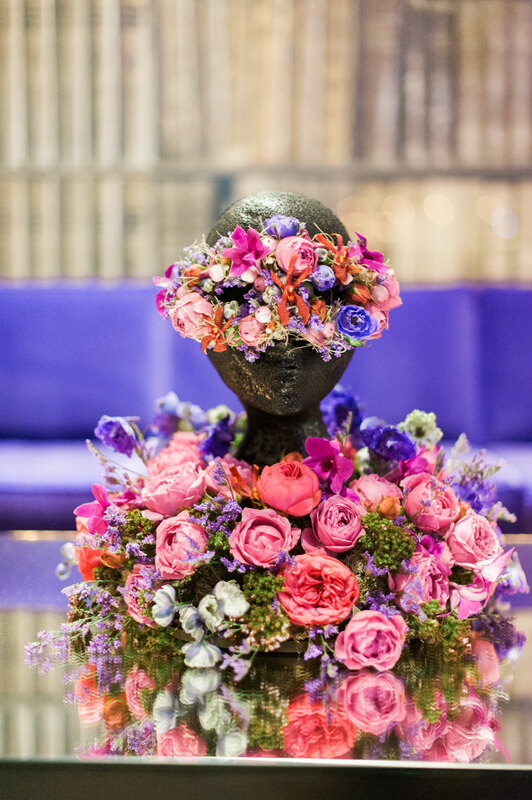 We replaced the traditional coffee table floral arrangements for innovative and contemporary ‘gothic meets masquerade’ designs using black latex dipped mannequin heads and masquerade masks adorned in a plethora of beautiful flower heads that were hand crafted by skilled artisans. 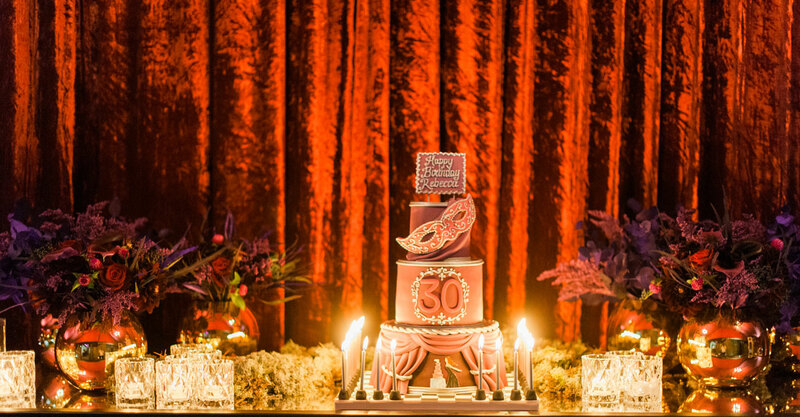 A marquee joined the living room where guests could dine in style with an array of contemporary Indian dishes and signature cocktails. 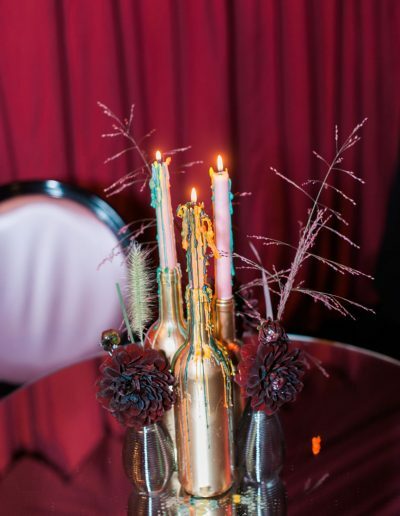 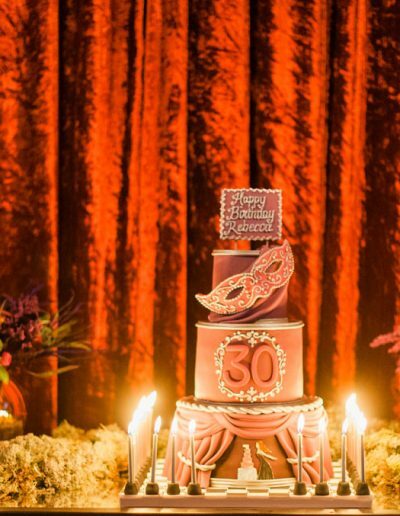 The marquee was decorated in dark red velvet tones to add to the gothic masquerade look we were creating. 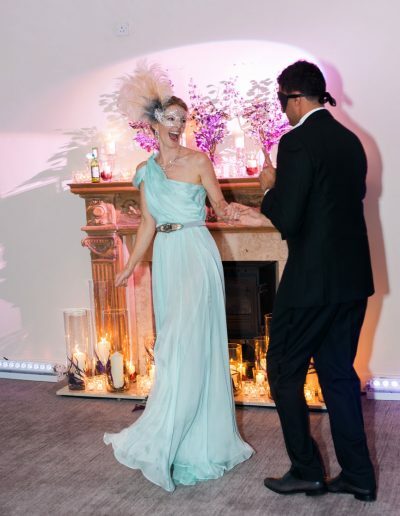 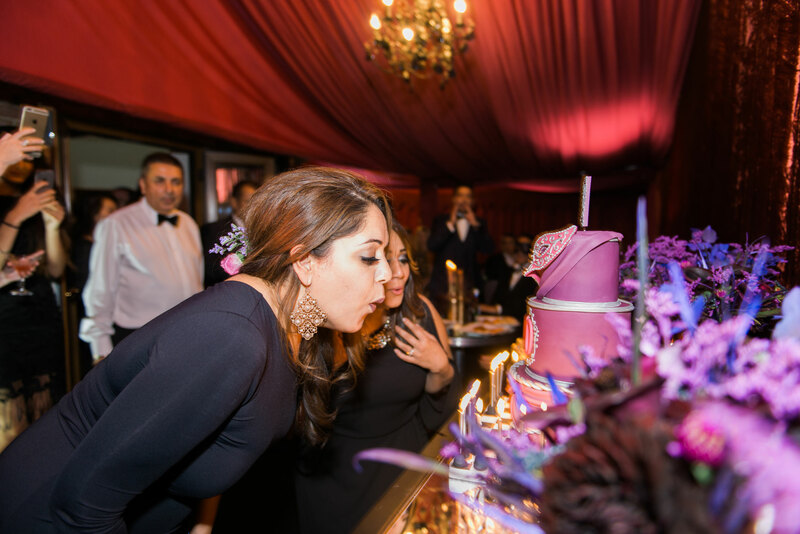 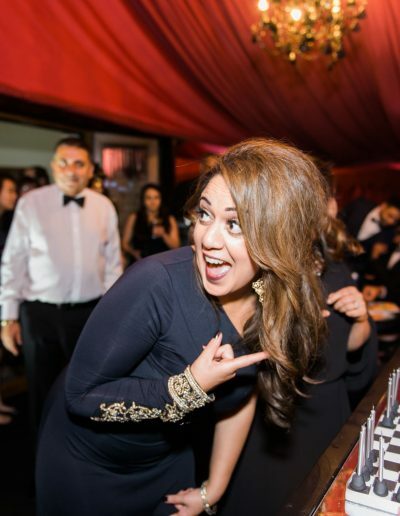 Guests danced the night away to London’s finest DJ and as the clock struck twelve, they were treated to a bespoke cake featuring the birthday girl blowing out her candles. 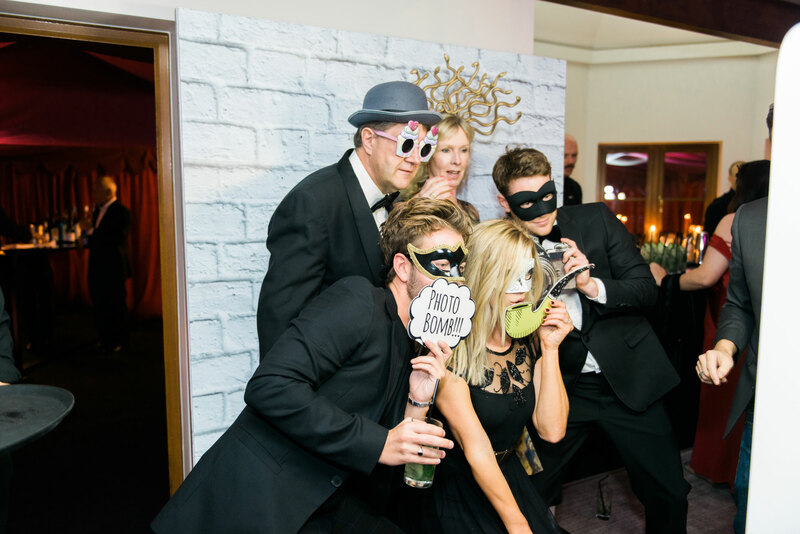 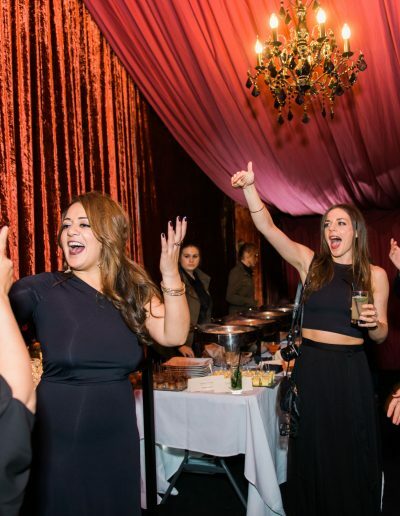 It was a magical evening enjoyed by all with the party ending at 3am- always the sign of a fabulous birthday celebration! 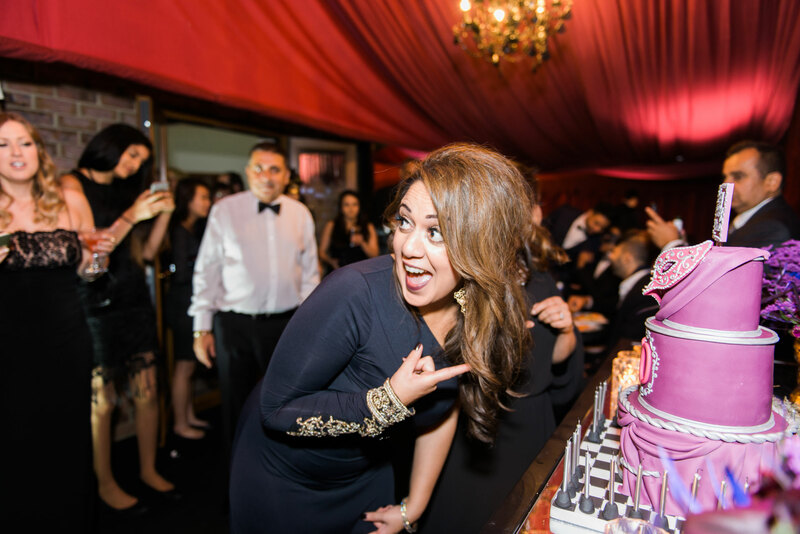 If you would like to celebrate your birthday and are not sure on how to plan it then please do give us a call- we would love to help!